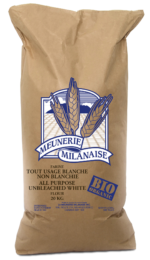 With more than 35 years of experience, La Milanaise has become one of Canada’s leading processors of organic cereal grains. Our reputation is based on top-quality organic products and our efficient and personalized technical support. We work with a value-chain approach and we’re committed to the success of each of our partners. Milanaise has the expertise to help you take full advantage of the business opportunities available to you. Our diverse and innovative product range offers lots of interesting possibilities. La Milanaise offers a diverse portfolio of 100% organic products. 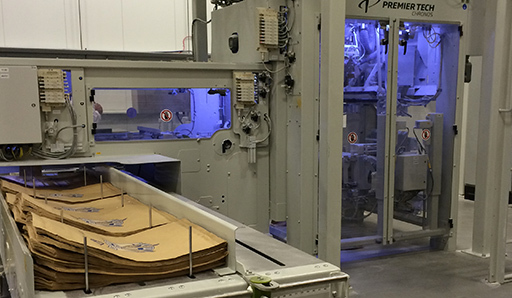 Production equipment that combines high capacity with impressive flexibility. Our BRC-certified production facilities, cutting-edge equipment and large production capacity ensure great flexibility in our operations. Technologies to let you track the baking properties of each of our lots. Our laboratory equipment helps us to provide stable, high-quality ingredients consistently. 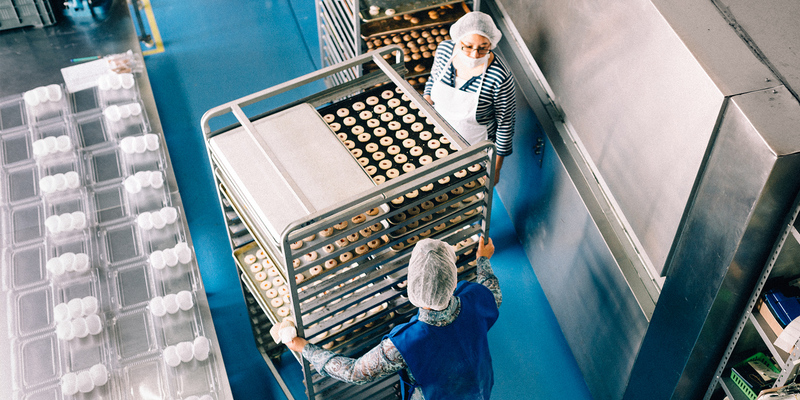 Our analysis certificates are available online, allowing you to track the baking properties of each of our production lots. The expertise to support you in bringing your most creative ideas to life. Milanaise has the right farming, milling and baking expertise to provide you with all the knowledge and support you’ll need for your projects. Milanaise offers a range of services adapted to the needs and daily challenges of each of our partners. 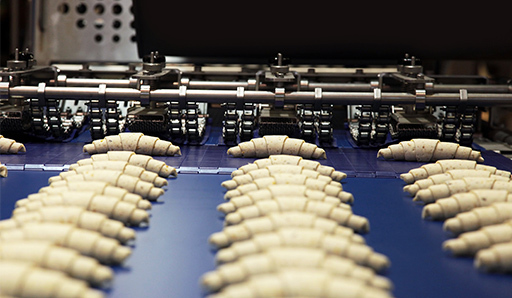 Working with an organic, enzyme-free product involves some challenges. La Milanaise is there to help you acquire the knowledge and the tools you’ll need to take on these challenges with confidence. Our team of experts will advise you on the best ways to make your manufacturing processes more efficient. Milanaise has the knowledge and practical know-how to support you at each step of the process of developing a new product. We wants to be your partner in your new projects. Thanks to our flexibility, production capacity, and BRC certifications, we can implement your private label project quickly while ensuring exceptional product quality. To have expertise, you need experts! What makes Milanaise a leading processor of organic cereal grains in Canada are the people that make up our company. Our company is home to passionate and dedicated professionals with the latest and most advanced knowledge. Our experts are committed to your success, and are enthusiastic about contributing to the success of your projects. Specializing in recipe development, he also has extensive project management experience. He will support and guide you at each step of your product development process to ensure that the end product is irresistible for your customers—and profitable for your company. 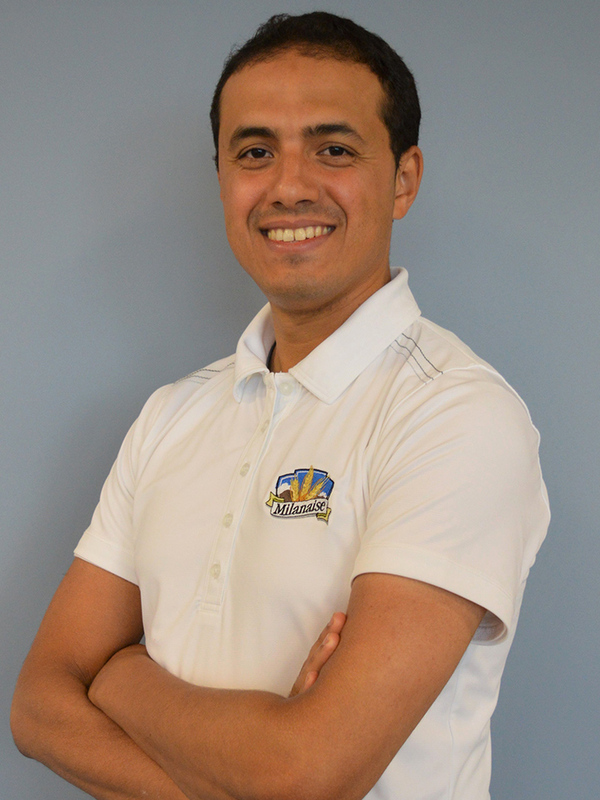 Head baker, baking instructor and an all-around passionate guy, Bouchta is in charge of quality analysis for grains and flours. 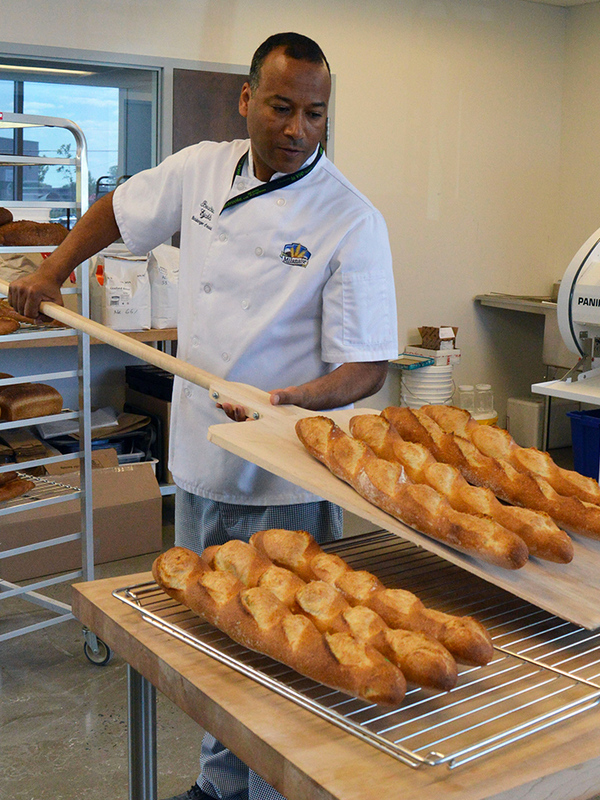 To ensure our products’ stability, he also develops various breadmaking tests to make sure that you get a high-quality product with no surprises. Bouchta will help you find the right solution for any baking-related problems you may encounter. We’ve set up a customer zone to provide you with a wealth of information, including the baking properties of each of our products. We want to make it easy for our customers to communicate with our team. Contact our analyst baker for any questions or problems that arise. Our certificates of analysis (COAs), available only through our customer zone, let you learn more about the dough’s properties and the best way to work with it. 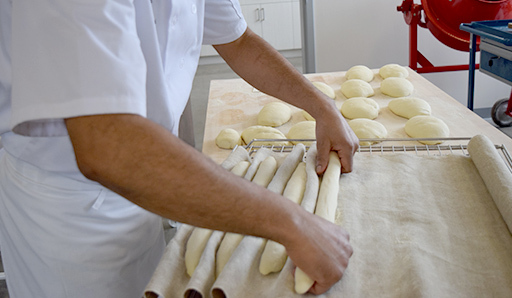 You can watch informative and entertaining video capsules on a variety of topics related to breadmaking—only in the customer zone. As a member of the customer zone, you’ll stay informed about different events and training sessions organized for our partners.